Martha Miller began drawing self-portraits at the age of fifteen. Though portraiture and work from the figure now comprise a significant body of her work, the self-portrait has long been her central method of expression. Miller has a strong reputation for her work in pencil, pastel, charcoal, and mixed media. She has worked with the celebrated North Berwick Drawing Group and attended groups meeting at the home of Bowdoinham painter Carlo Pittore. In 1995, Miller was a recipient of the prestigious Carina House residency. For more than twenty years her work has appeared in over two-dozen invitational and juried exhibitions. Miller’s work can be found in the collection of the Stephen and Tabitha King Foundation; in the Achenbach Foundation Prints and Drawing Collection for the Fine Arts Museums of San Francisco, California (Palace of the Legion of Honor); and in numerous private collections. One of her self-portraits, “Self with Lipstick,” is featured in the textbook Drawing from Life, by Clint Brown and Cheryl McLean. A studio fire in August 2002 destroyed a great portion of Miller’s thirty-year body of work, but “the slate is clean,” she said at the time, with more whimsy than regret. Honored with a 2003 Talent Award from the Maine College of Art, Miller returned to the classroom for the first time in nearly two decades to complete her BFA degree. Miller graduated with honors with a degree in Printmaking in 2006. 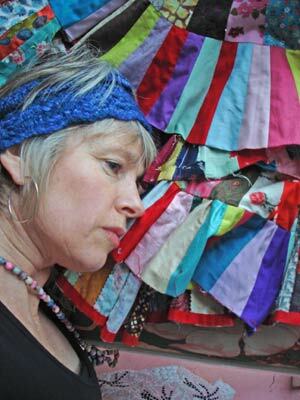 She currently works in her home studio in Woolwich and teaches at MECA through their Continuing Studies department.